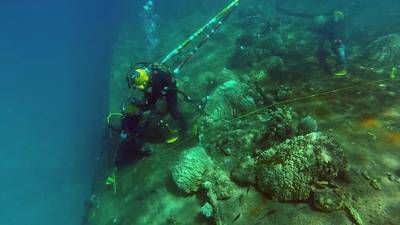 A U.S. Navy led team has removed 229,000 gallons of oil from a sunken World War II era German heavy cruiser that has been resting on the seafloor near the Marshall Islands for more than 70 years. After being transferred to the U.S. as a war prize, the cruiser Prinz Eugen was loaded with oil and cargo and used to assess survivability of warships during the Operation Crossroads atomic bomb tests in the Pacific. The ship survived two atomic blasts before being towed to Kwajalein Atoll, where it capsized and sunk in December 1946. Now, 72 years later, a project team led by Stephanie Bocek of the Navy's Supervisor of Salvage and Diving (SUPSALV) and sponsored by the U.S. Army Space and Missile Defense Command / Army Forces Strategic Command has performed the unprecedented removal of oil from up to 173 tanks of a heavy cruiser warship. The operation required two years of research and planning. Prior to removal of oil, SUPSALV's Emergency Ship Salvage Material oil spill response team worked to select, assemble and deploy the right combination of equipment, tools and consumables to support the planned operation. The load-out included "hot tap" oil extraction systems, submersible pumping systems, oil spill response resources, tank close-out and patching supplies, and other innovative diver tools. 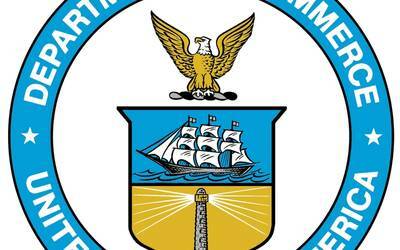 A market search was conducted to identify and charter a commercial oil tanker to collect the recovered petroleum product transport it for disposal or recycling at the conclusion of the operation. 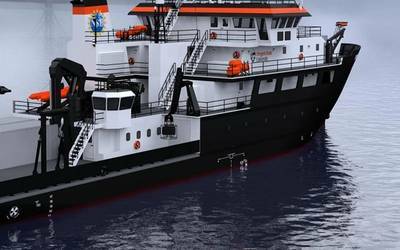 The oil tanker vessel Humber was selected. Humber, along with Military Sealift Command's (MSC) USNS Salvor were positioned directly above the ex-Prinz Eugen in order to effectively conduct the oil removal. This task was challenging because of the close proximity of the wreck to the neighboring shoreline which would not allow the ships to drop the shoreward anchors due to shallow depth. 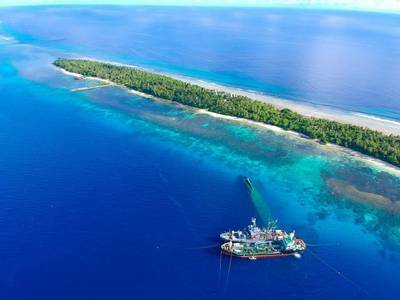 Ultimately, SUPSALV arranged for use of the U.S. Army Garrison - Kwajalein Atoll's harbor tug Mystic to collect the anchors at the pier and drop them in place this allowed the ship to successful finalize their four-point moor over ex-Prinz Eugen. Each oil-filled, accessible tank was hot tapped, pumped free of recoverable oil, and sealed with a permanent, tamper-proof dome assembly to prevent any subsequent leakage of residual oil clingage left in the tank. 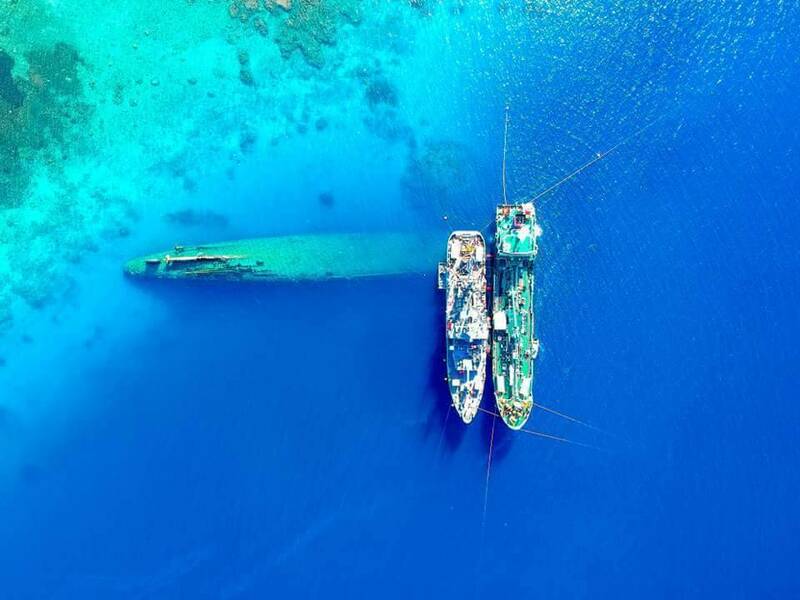 These actions ensured that the wreck, a popular dive site, is safe for continued recreational diving and the Atoll is safe from the risk of significant oil spill from ex-Prinz Eugen. "This project was an incredible opportunity to showcase the U.S. Navy Salvage community's capabilities. 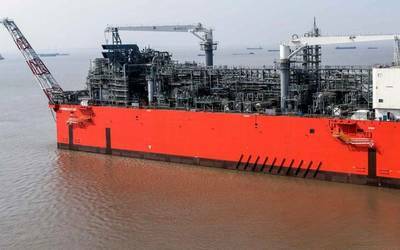 SUPSALV had prior experience with sunken vessel oil removal on ex-USS Chehalis and USS Missessinewa, so we were well positioned to lead this project," said Capt. Keith Lehnhardt, Supervisor of Salvage and Diving. "This also serves as an example of exceptional partnership for future oil spill responses, salvage operations, and other emergencies."